Young people from across Cumbria have been given a unique learning opportunity to improve their career prospects and increase aspirations. 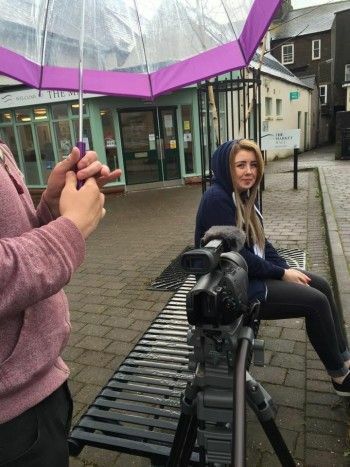 North Allerdale Development Trust (NADT) received £10,863 from the Cumbria Young People’s Fund to run a free 12 week film making course at The Market Hall in Wigton for young people not in education, employment or training. NADT is a charity based in Wigton that works with young people and youth services. After discovering that film making is an effective engagement tool, they developed a project for an age group most at risk in today’s competitive employment market. 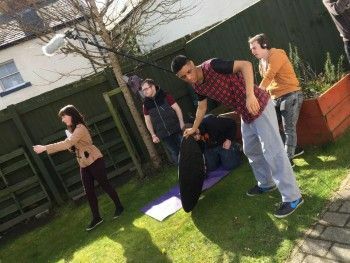 The full-time course focused not only on learning professional digital film making techniques but also improving employability skills and individual personal development. During the course, the young people created their own film-making brand ‘Unconventional Media’ through which they produced a number of films including short documentaries, commissioned promos, a music video and two web series. Future students will be able to join this network and give them a platform to obtain freelance work. The funding was crucial as it covered transport and lunches, which was a huge incentive for the students as some had very difficult living situations with real financial constraints. One young man who took part made a film about the positive side of being in care. He is now in talks with government agencies for him to give presentations to groups using the film. “It’s destroyed my feelings of anxiety and stress, making me a stronger person.” Laura, Carlisle. Of the 15 that took part in the programme, 5 underwent further training. 2 students obtained part time jobs. 2 students secured interviews for apprenticeships and 1 student is pursuing a role in mentoring young people in care. The remaining five students are considering their options and are in weekly contact with the project team who are providing support. Sandra Keaveney, Trust Manager at NADT, said: “Our young people now have increased skills and confidence, they have established daily routines and a strong work ethic. “We had students who suffered depression due to their financial and employment circumstances as most were independent of any family or support structure. One student suffered from food poisoning from eating out of rubbish bins.